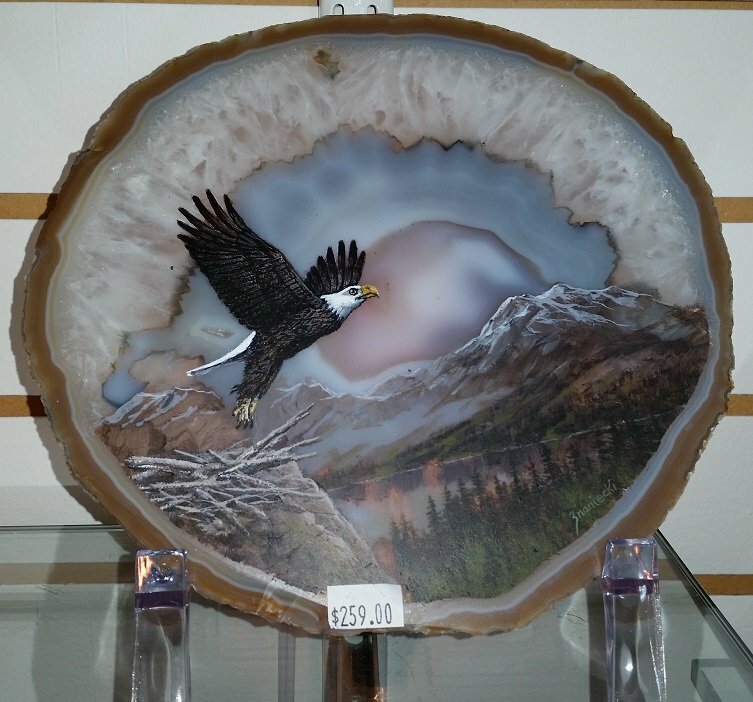 This beautiful eagle which is painted on an Agate is part of the Znaniecki Collection. The piece sits on an acrylic stand which holds a light. The position of the light shining through the Agate makes it appear as though there is a sunrise or sunset over the mountains. The piece is stunning due to the amazing detail in Mr. Znaniecki's work. The piece measures approximately 8" X 7 1/2" X 1/4". ASK ABOUT THE WHITE TAILED BUCK ALSO PAINTED ON AGATE.